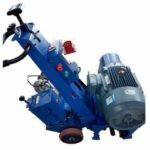 Hydraulic stone cutter is mainly composed of hydraulic power station and hydraulic rope saw head. 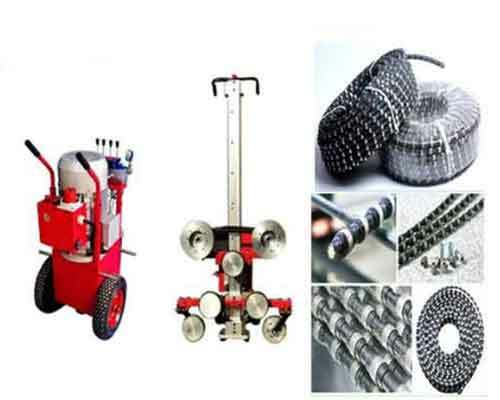 It is a kind of diamond wire saw machine with wide application range and high working efficiency. 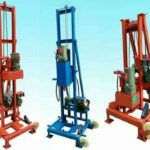 Its main working principle is that the oil pressure of the hydraulic pump station drives the rotation of the hydraulic motor, while the hydraulic motor drives the rotation of the driving wheel. Then the driving wheel drives the rope to rotate. Meanwhile, the wire saw rotates at a high speed from the direction of the driving wheel, so as to achieve the purpose of cutting and dismantling the reinforced concrete. The hydraulic stone cutter adopts the technology of static cutting, which can ensure the original structure won’t be damaged. 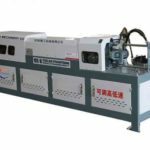 The hydraulic diamond wire saw cutting machine manufactured by our company is a fully automatic cutting equipment for concrete, reinforced concrete, slab wall, underwater cutting operation, etc… Send us an inquiry for quotation now. The portable vertical all-aluminum hydraulic stone cutter produced by our factory can be operated by a single person, which can save labor. 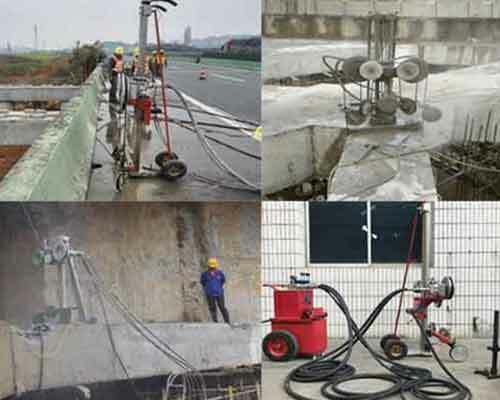 It can achieve a variety of cutting forms for thicker concrete and is the most suitable construction cutting equipment for cutting and dismantling of concrete walls, bridges, pillars and other repair work. 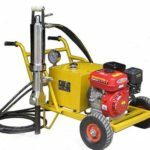 The hydraulic stone cutter can also be used for dense rows of reinforced concrete structures, even underwater cutting operations of 30 meters to 50 meters. 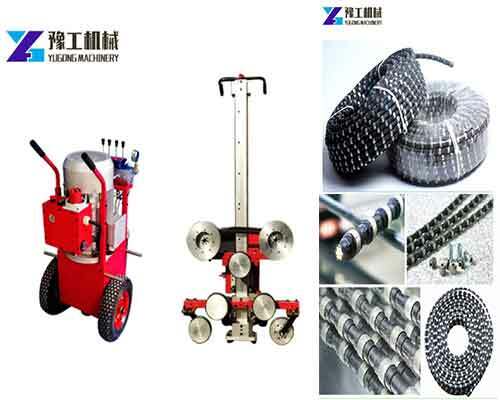 Hydraulic concrete wire saw can meet the cutting depth that the wall sawing machine can’t finish, the cutting work depth isn’t limited. 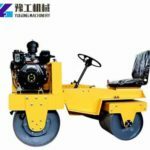 The machine is widely used as the leading advanced cutting construction equipment in the construction of buildings, bridges, tunnels and wharfes reconstruction, replacing the traditional methods of forced punching and blasting. 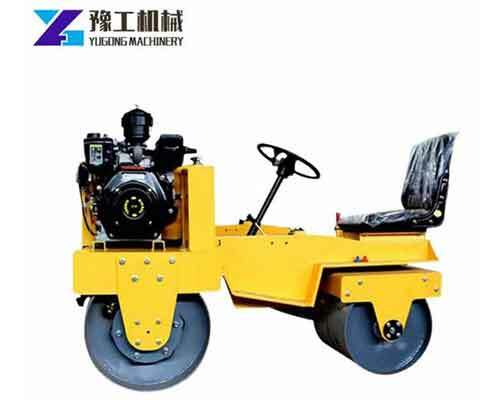 Buy the hydraulic stone cutter in Henan Yugong Machinery Co.,Ltd, as a manufacturer with many years of production experience, we will be your ideal choice. Why Choose Hydraulic Diamond Wire Saw Machine? 1.Higher cutting ability and working efficiency. The machine has strong motivation and can reduce labor intensity. 2.Safe and reliable operation. Hydraulic system itself has a strong safety, reliable and stability with overload protection function. 3.Neat cutting section. Static and linear cutting technology makes that there is no vibration in the cutting process. 4.No pollution and noise. Cooling water can take away the iron filings and concrete debris from the cutting process. At the same time, the closed system can control the splash of water. How to Use The Hydraulic Stone Cutter to cut objects? 1.Installation. 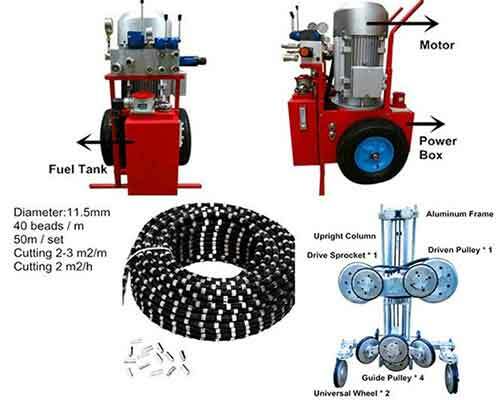 Install hydraulic power station, directional wheels and rope according to the position of cutting section. 2.Start to cut. 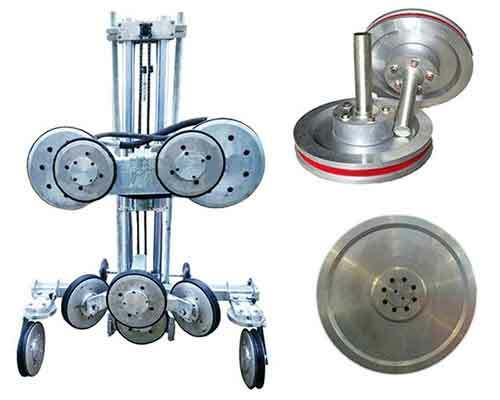 Start the electric motor, adjust the driving wheel lifting tension through the control panel. Ensure the diamond rope is properly tightened and start the circulating cooling water. Then start another electric motor to drive the diamond rope to rotate and cut. The stability of the base must be observed closely during the cutting process. Adjust the deflection of the guide wheels at any time to ensure that the cutting ropes are in the same plane. 3.Selecting of cutting parameters. During the cutting process, operators must adjust the cutting parameters by operating the control panel to ensure the running speed of diamond wire saw. On the other hand, sufficient amount of flushing fluid should be ensured during the cutting process to ensure the removal of the ground dust. Speed, parameters and equipment stability are required during the cutting operation. 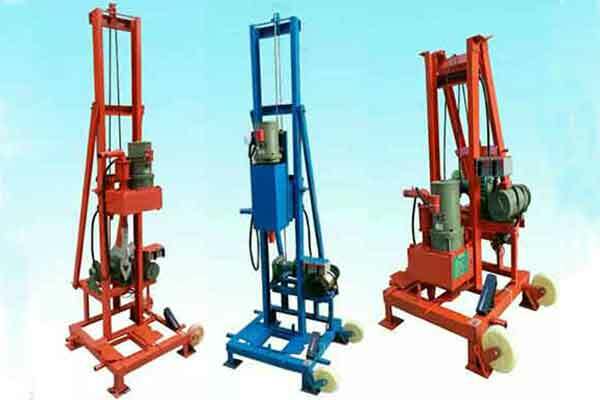 There are several types of wire saw machine in our company. 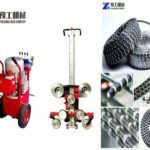 In addition to hydraulic stone cutter, there are electric wire cutting machine and stone cutting machine specially for mining and other large-scale operations. Prices vary greatly depending on the power and model. 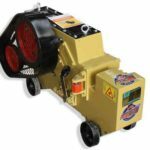 But we can guarantee no matter which machine you choose to buy, we will give you the most competitive and reasonable price. Whatever needs do you have, please feel free to tell us, we will help you solve quickly.